Frank & Kaitlyn are one of those dream couples. You could see the pure joy in their faces the entire day. Its always such a great gift to edit a film and see all the cute little smiles that the bride and groom give each other and this one kept me smiling through the whole edit. 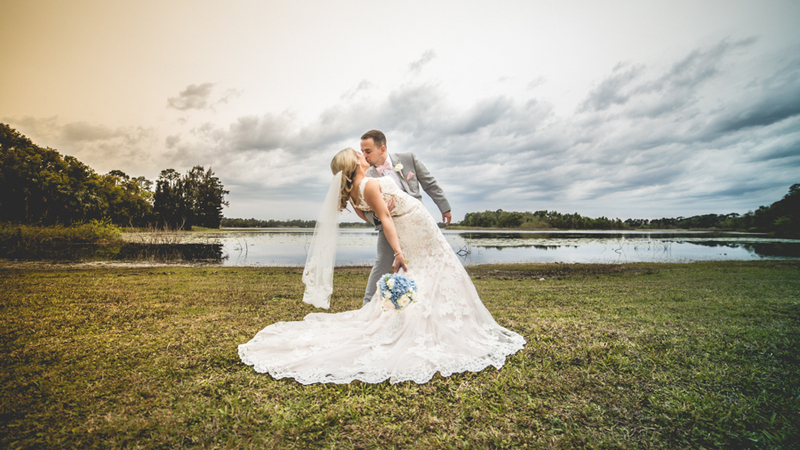 Their Lake Mary Event Center wedding was such a classy and eloquent event. The colors were spot on to match there personality and style and every detail handled by At Last Weddings and Event Design was perfection. Frank and Kaitlyn were one of those couples you remember for a long time as they seem to instantly become friends. Kaitlyn and her bridesmaids were enjoying every minute of the preparations for the day while Frank and his groomsmen were relaxing. What can we say about Frank, that guy knows how to love his bride! From the emotion he showed reading Kaitlyn’s letter to the first time he saw her coming down the isle, this guy was the perfect groom. As the event went on their family and friends enjoyed an energetic dance floor and a beautiful evening. Here is a quick glimpse into Frank & Kaitlyn’s big day and we can’t feel more blessed to have been a small part of it. Enjoy! Frank & Kaitlyn Teaser from Brandon Kari on Vimeo.